Early evening. 'Dry January' does not seem to be slowing the trade in here. One Mile End Brew Co. (formerly Mulligans at the White Hart and then WH Brew Pub) - Hospital Porter 5.20 A dry, brown Porter with a little rye bight. Mad Squirrel (formerly Red Squirrel) - Old Blue Weisse 5.20 From a keg. A murky reddish colour (not blue). Strong blueberry flavour; bananas too. A bit of oomph makes it a great beer. One Mile End Brew Co. (formerly Mulligans at the White Hart and then WH Brew Pub) - Event Horizon 6.00 A dark brown beer in IPA style. One Mile End Brew Co. (formerly Mulligans at the White Hart and then WH Brew Pub) - Imperial Biere de Garde 10.00 From keg. Smooth and easy to drink, with very low carbonation. Strong and French-tasting. Mid afternoon and quiet just a few other drinkers in although food was still available. Friendly welcome and tasters offered without prompting. Leigh on Sea - Legra Pale 3.80 Tropical fruits with a grassy aroma ideal session beer. Early evening visit after work and I managed to bag one of the comfy chairs. I also remembered to claim the CAMRA discount, so feeling doubly pleased with myself. One Mile End Brew Co. (formerly Mulligans at the White Hart and then WH Brew Pub) - Tinker's Cuss 5.20 A strong, golden beer. The peppercorn flavour is strong tonight. Tiny Rebel - Juicy 4.80 Not Tried The barman actually warned me off this one which he didn’t think was up to Tiny Rebel’s usual standard. A little taster suggested he was right. Early evening and busy, although most people are sitting outside by the busy road junction. I’m no great lover of carbon monoxide poisoning, so found a table within. One Mile End Brew Co. (formerly Mulligans at the White Hart and then WH Brew Pub) - Disarm 3.00 Low-strength, hazy-golden, lightweight, fruity pint. Early evening and not so crowded. One Mile End Brew Co. (formerly Mulligans at the White Hart and then WH Brew Pub) - Tinker's Cuss 5.20 An enjoyable pint, the pepper flavours intensifying as you go down the glass. One Mile End Brew Co. (formerly Mulligans at the White Hart and then WH Brew Pub) - Juicy 4pm 4.90 Murky gold, with very bitter fruit flavours. Standing room only in here in the early evening. One Mile End Brew Co. (formerly Mulligans at the White Hart and then WH Brew Pub) - Great Tom Mild (or Great Tom Winter Mild) 3.80 Dark brown in colour. A fresh-tasting Mild, hoppier than is typical for the style. Electric Bear - Werrrd! 4.20 An opaque, golden, fruity APA. One Mile End Brew Co. (formerly Mulligans at the White Hart and then WH Brew Pub) - Jazz Police 6.30 From key-keg. In the fashionable DDH IPA style. Murky gold. Lots of hops and quite well-carbonated. Early evening crowds at this thriving pub, but I was lucky to find a seat in a corner. After a while I found myself surrounded by local CAMRA bods, who were getting the beers in before disappearing upstairs for a Pig’s Ear Beer Festival planning meeting. One Mile End Brew Co. (formerly Mulligans at the White Hart and then WH Brew Pub) - Hospital Porter 5.20 A bitter chocolate, dark Porter. One Mile End Brew Co. (formerly Mulligans at the White Hart and then WH Brew Pub) - Temperance Session IPA 3.50 I’m not sure if there are really three different One Mile End beers called Temperance, but this one was clearly labelled ‘Session IPA’ at 3.5%. Very tasty too. One Mile End Brew Co. (formerly Mulligans at the White Hart and then WH Brew Pub) - Juicy 4pm 4.90 From key-keg. Turbid yellow/gold and exceptionally juicy. One Mile End Brew Co. (formerly Mulligans at the White Hart and then WH Brew Pub) - Dubbel Impact 5.50 From key-keg and quite a bit of carbonation has built up. This beer has been brewed here at the White Hart on the old One Mile End brew-kit which is still in place in the cellar and used for occasional small-run beers. It is in the style of a Belgian Dubbel but not really up there with Chimay etc..
My final pub of the day, the friends with whom I had been drinking had all gone home and I decided to come here for old times sake, it used to be a regular haunt of mine in the Murphy's days when I worked across the road. It is sad to see the old partitions gone but really encouraging to see this pub apparently doing very well indeed. Packed this evening with a good crowd of drinkers and diners. I forgot to ask for CAMRA discount on my first pint so I stayed for another. One Mile End Brew Co. (formerly Mulligans at the White Hart and then WH Brew Pub) - Docker's Delight Bitter 4.20 Excellent tasty pint. Mid-evening and nowhere near as busy as it would typically be at this time on a weekday. One Mile End Brew Co. (formerly Mulligans at the White Hart and then WH Brew Pub) - Light Machine 3.00 Cloudy pale gold and very fruity indeed. A collaboration beer with Big Smoke Brewery. One Mile End Brew Co. (formerly Mulligans at the White Hart and then WH Brew Pub) - Morello Cherry Gose 4.20 From keg. Reddish gold in colour. Very fizzy, so first impression is that it is a bit like cherry cola – then the saltiness kicks in. Busy in the early evening to the point that people were sitting outside in the cold. One Mile End Brew Co. (formerly Mulligans at the White Hart and then WH Brew Pub) - Extra Stout 4.00 Near black in colour, dry and roasty. One Mile End Brew Co. (formerly Mulligans at the White Hart and then WH Brew Pub) - Gose Fleur de Sel 4.20 On keg dispense. Gose seems to be the beer style of the moment in London. This one is as salty as its name suggests. 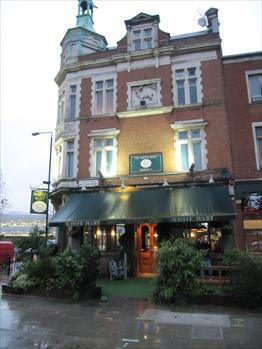 The pub is found in Whitechapel, Greater London, E1 4TP. This pub was present at the London end of Mile End Road as early as 1750. It was rebuilt in its present form in around 1900 and is a striking building with a cupola high above the corner door. In the 1970s and 1980s it was the principle pub of the small Murphy’s chain of East End pubs, owned by a family of that name. This pub in particular became known simply as ‘Murphy’s’, and the White Hart name was forgotten for a while. It was notorious for its late night lock-ins, and a tap on the side door in the early hours was usually rewarded by the chance of a sly late one. At this time the pub retained superb etched-glass partitions and mirrors. All that was swept away some time in the late-1990s in a controversial refurbishment that left the pub with a large, open-plan, wooden-floored main bar and a function room upstairs. Further refurbishment came in 2013, and this saw the introduction of an open view kitchen and a micro-brewery in the cellar. 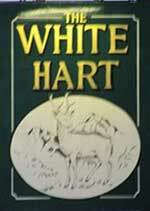 Brewing was initially in-house, with beers sold variously as Mulligans at the White Hart or as WH Brew Pub. This brewing venture met with mixed success and in August 2014 the new One Mile End Brewery took over the kit and was immediately successful with its full-flavoured brews. The brewery quickly outgrew the premises and in the summer of 2016 relocated to Tottenham. 6 handpumps on the bar counter. 10% discount on cask ales for card-holding CAMRA members. We have visited this pub 51 times, seen 114 different beers and tried 71 of them.